Hello and Welcome to my little corner of the web. I am Rachel Mitchell . 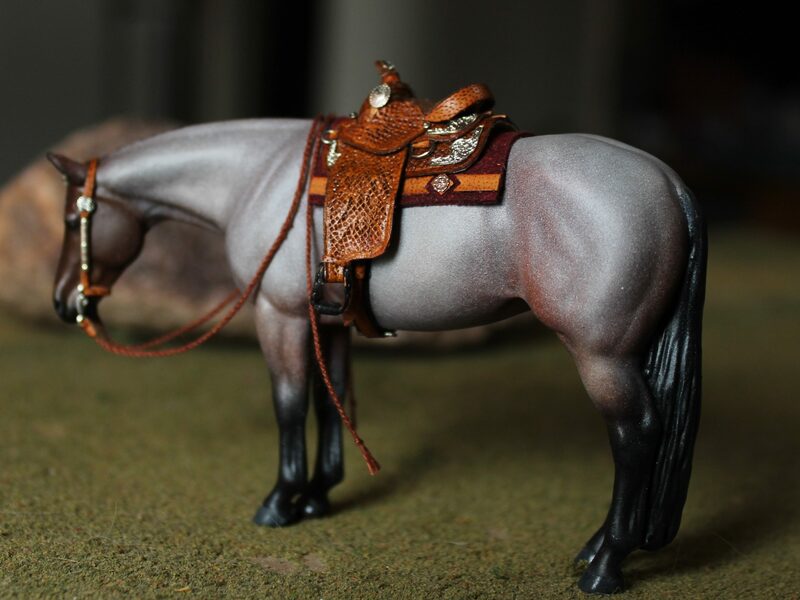 I have been in the model horse hobby since around 1995 . I have been making top live show quality tack for more than 7 years. I do occasionally do customs and paint jobs but my main focus is tack and my husband Roy helps with props. Items Currently available can be found in my Etsy Shop more Items On MHP !